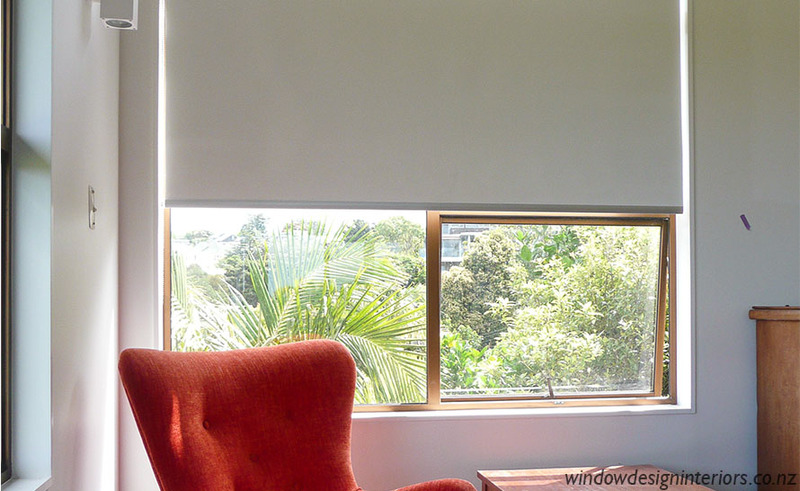 Roller Blinds offer an extremely stylish window solution. 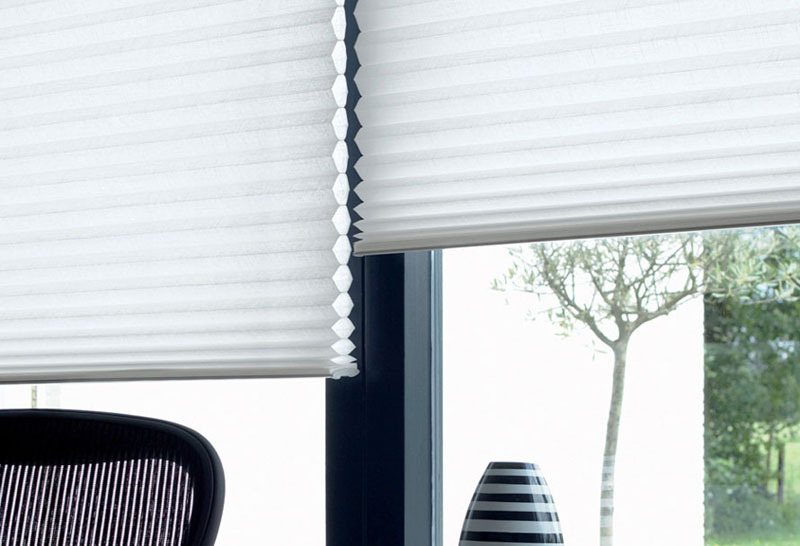 They are one of the oldest blind options on the market, but are now more popular than ever thanks to new technology and a comprehensive choice of fabric options. Not all roller blinds are created equal, so it is important not to select roller blinds on ‘price alone’. Cheaper brands will not stand the test of time and if not installed professionally, will ‘track’ which causes immediate damage to fabrics. WDI are licensees for the Luxaflex brand who are the market leaders and are therefore the preferred WDI supplier. The fabrics are of the very highest quality, which is important with regard to insulation, longevity, reduced veeing, cupping and sagging. 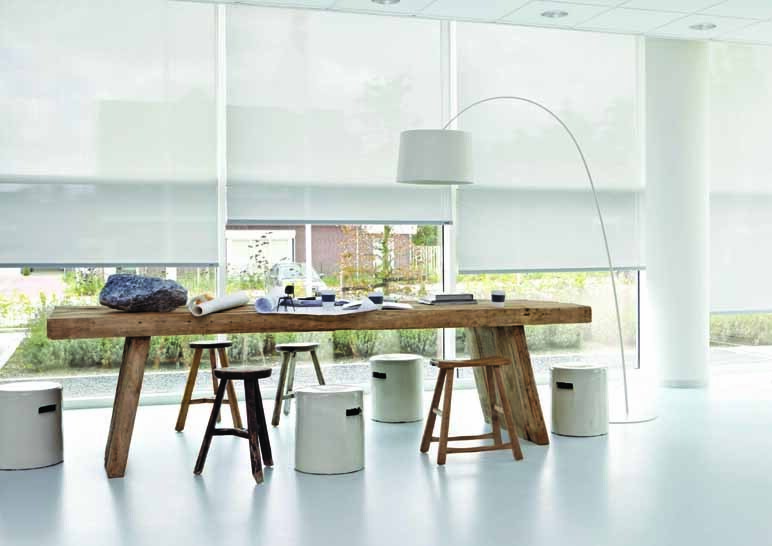 Luxaflex blinds have superior robust mechanisms and the tubing is wider, stronger and has a spring assist as a standard feature for big blinds. 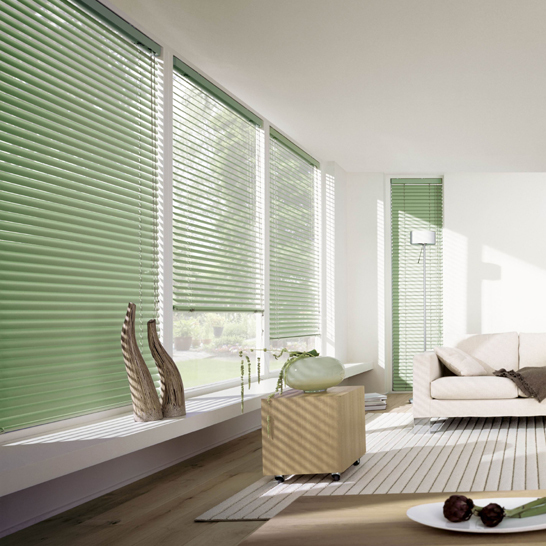 Luxaflex blinds carry a 5 year warranty. WDI consultants have extensive knowledge of all the options available, so can help with recommending the right product to suit specific requirements. 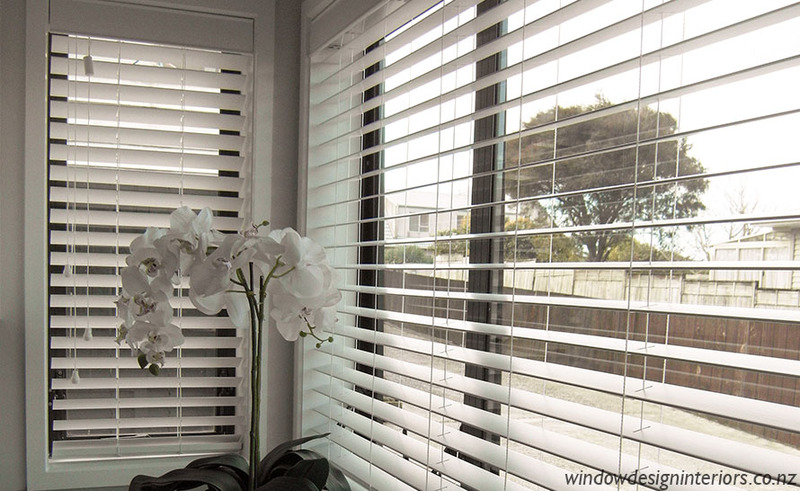 All blinds are installed by WDI’s experienced and skilled installers. Blockout Fabrics provide complete light block. This is a perfect choice for bedrooms as it provides complete privacy and makes the room darker and easier for sleeping. Light Filtering Fabrics provide semi privacy (you can see shadows through the fabric when a light is on inside) and allow light to pass through the fabric. This fabric is an ideal choice for bathrooms where light block is not ideal, but privacy is required. This fabric is also a perfect choice if the ambiance of soft filtered light is desired. 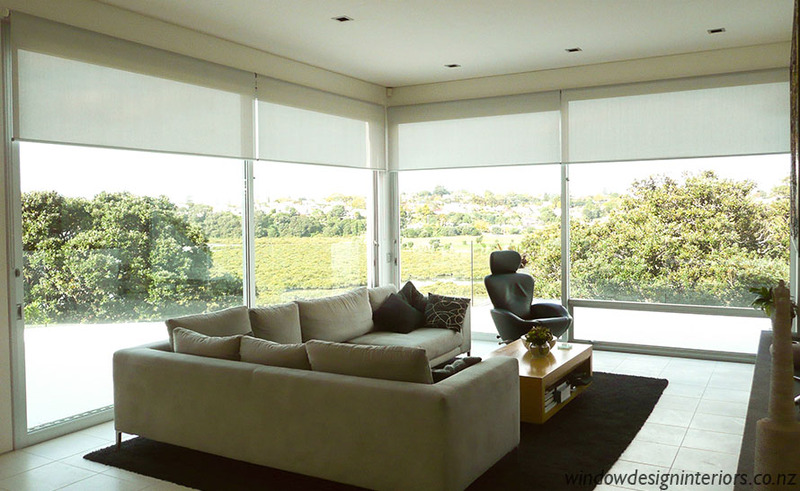 Sunfilter Fabrics allow the home owner to see through to the brighter side. During the day this fabric provides filtering of the sun, protecting furnishings and reducing glare on TV and computer screens. The outside view remains clearly visible, and daytime privacy is achieved. At night however, when it is dark outside and the lights are on inside, the Sunfilter Roller Blind fabric does not offer any privacy. 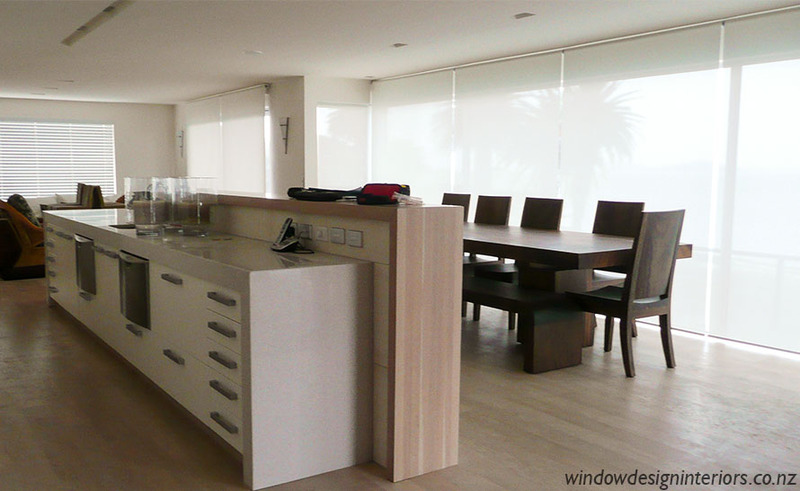 Day and Night privacy can be achieved by using dual roller blinds within the reveal. This offers the best of both worlds with a sun filter fabric for daytime privacy or filtering of sunlight and a blockout fabric for evening privacy and room darkening. New Automated Technology has been developed with a focus on making motorized blinds more affordable whilst maintaining beautiful style and almost silent operation. Batteries can be installed inside the blind tubing and the blinds operated using a remote control. This system can be retrofitted in almost any home by the skilled and experienced WDI team of installers – no electrician or builder required! For new build or renovations, a hardwired system is also available, which can be linked to the home owners automation media and security systems. This option is controlled by an independent wall switch or via the main automated system. Multiple blinds can be linked to a single remote/switch so can be lifted and lowered all together or individually at the touch of a button. The absence of chain controls is not only aesthetically pleasing, but also eliminates any risk of child strangulation. Chain Tensioners. 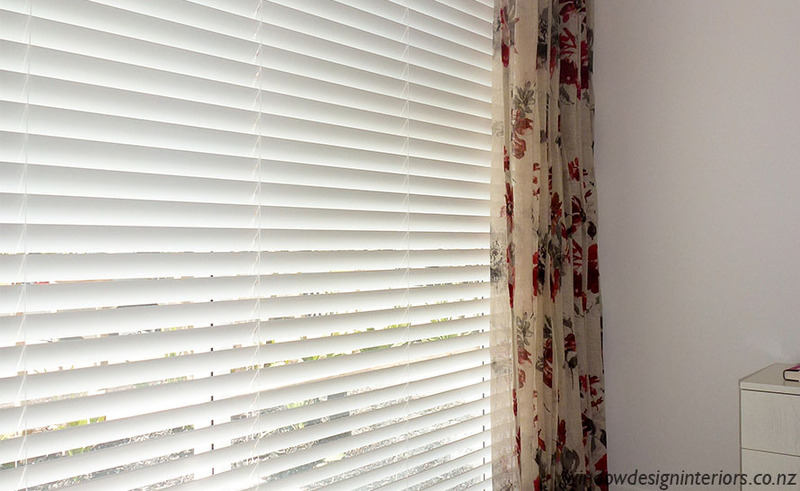 All Roller blinds can be fitted with chain tensioners, to hold them firmly in place which encourages correct operation, and also as a safety precaution for child strangulation. The unique honeycomb construction of Cellular Blinds provides exceptional thermal insulation for your window by trapping warm air creating an effective barrier against cold windows and draughts. This not only creates a warmer, drier and healthier home but also saves the home owner money on energy bills during both summer and winter. The blinds pull up to the smallest stack of any blinds available, which makes them a perfect option for lower doorways or ranchslider openings. They are available in blockout and semi opaque fabrics, and in either 10mm or 20mm cell size. 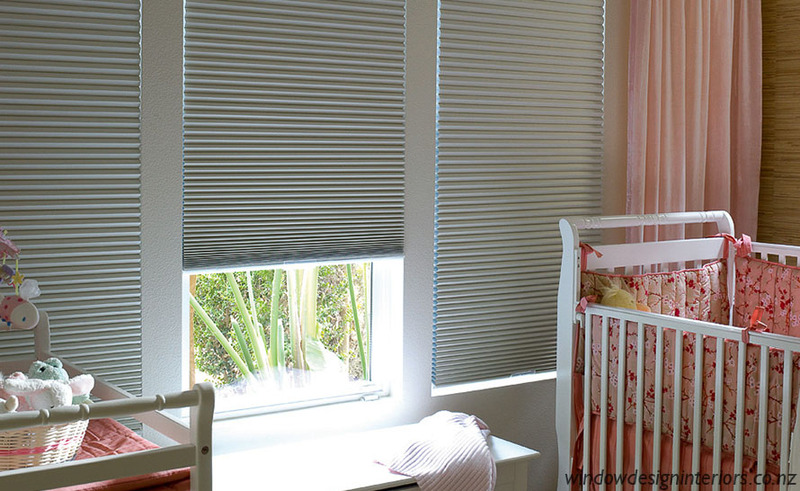 The many operating features make these blinds a versatile and modern choice. (Some of these options are only available in the 20mm cell size). Top Down-Bottom Up allows for the blind to either be dropped from the top and/or pulled up from the bottom. This provides the user with excellent flexibility. 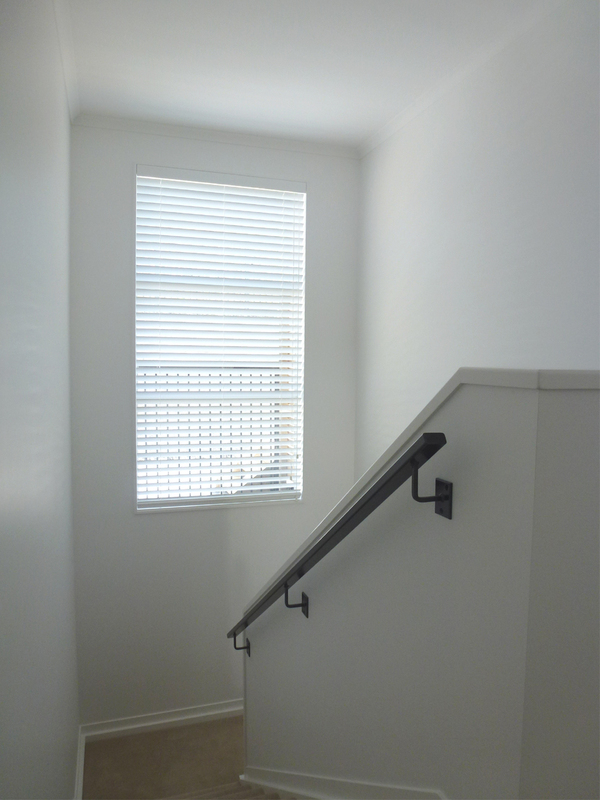 The blind can be down for privacy, but the top section open for air and light flow. 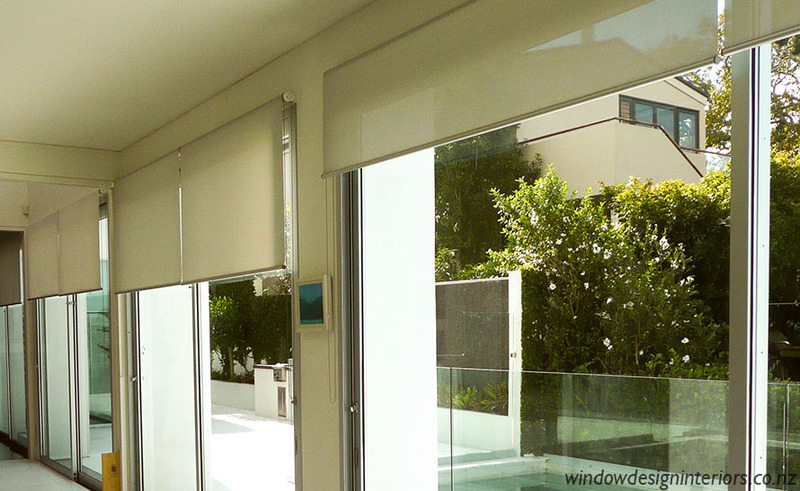 Day/Night option allows for two blind fabrics to be fitted into a single headrail. 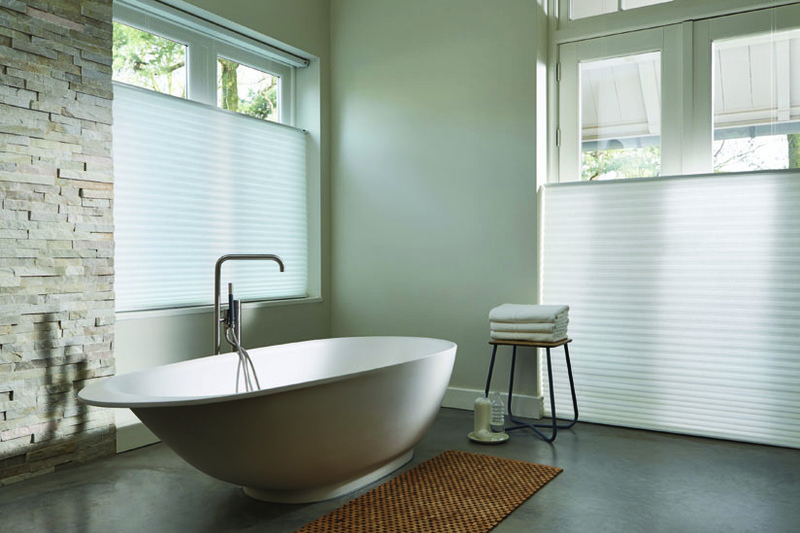 The first part of the blind provides filtered light and privacy and the second part of the blind provides light block. Ultraglide is a very clever operating system which retracts the cord, so that it is kept at a consistently short length at all times. Powerrise is an automated battery operated system with remote control. Skylight cellular blinds are the most popular solution for vertical, sloped or overhead applications. Support cords and/or rail stiffeners may be required. WDI consultants are fully trained to measure and help provide solutions, based on client brief and product suitability. 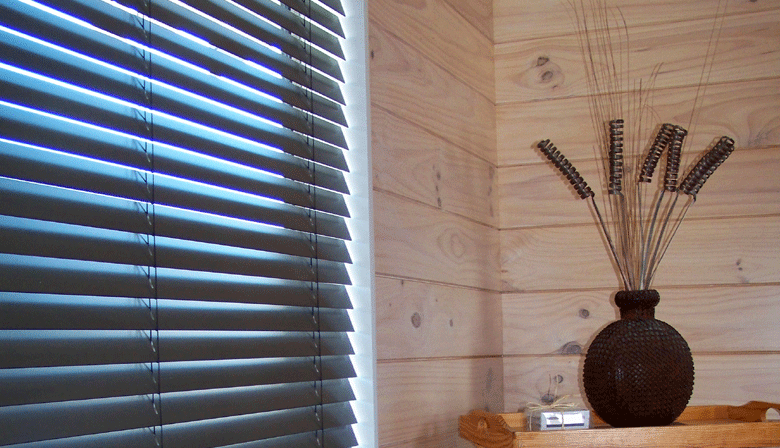 Lovely in any style of home, wooden venetian blinds are a very versatile window treatment. They provide lovely clean lines to any room, and come in a good range of colour options. 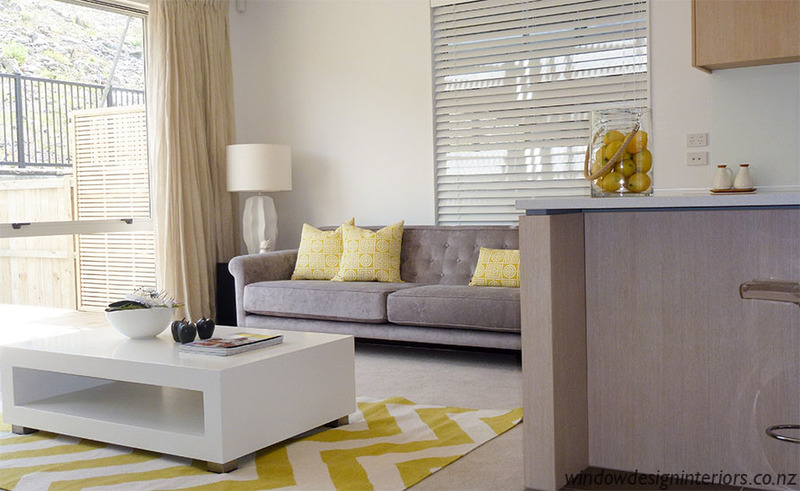 There are several shades of white which can usually be matched closely to window reveal colours. The wood grain colours are also a popular choice if the traditional timber look is desired. 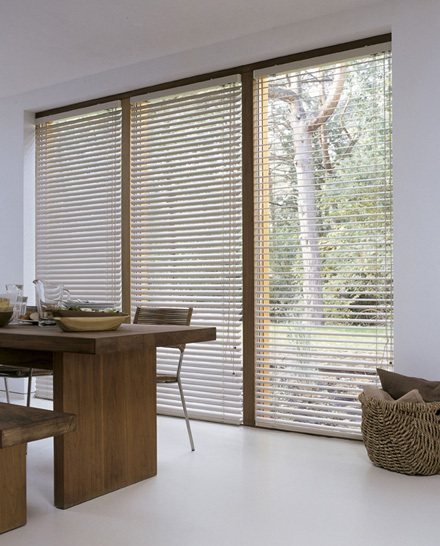 These blinds offer full light and privacy control, are custom made to your window measurements, and are available in 50mm or 63mm wide slats. WDI consultants are fully trained to measure and specify the most suitable product, based on client brief and product suitability. It is impossible to prevent moisture and steam in the bathroom, so Composite Wood Venetians are the perfect product for this application. The slats are PVC so won’t warp or rot, are resistant to heat easy to clean and are available in either 50mm or 63mm slats. 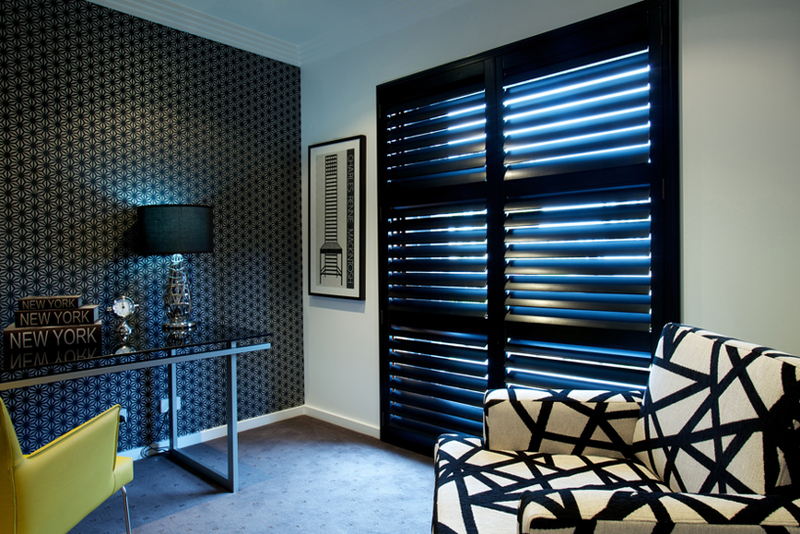 They are also the most popular choice for other rooms in the home, because they are less expensive than timber venetians. However, they are heavier than timber, so the larger blinds are designed to be static blinds (ie not lifted and lowered every day). 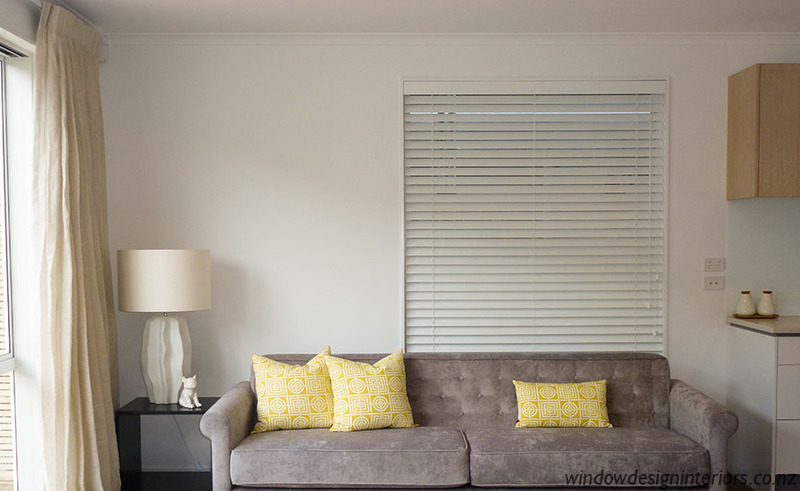 The blades can be tilted for light control, and large blinds should only be lifted to clean or open the windows behind. For large openings, two blinds can be specified, split at the window mullion, but fitted into a single headrail with one continuous fascia. 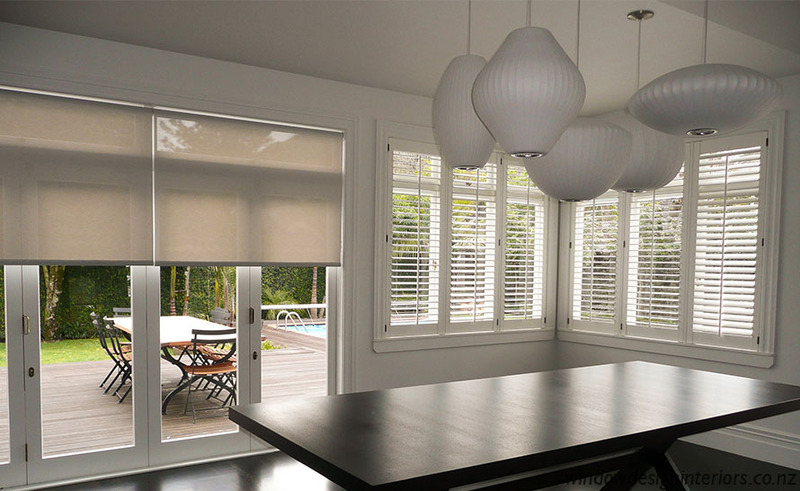 Composite Blinds are available in a wide range of colours, including several shades of white which can usually be colour matched to window reveals. 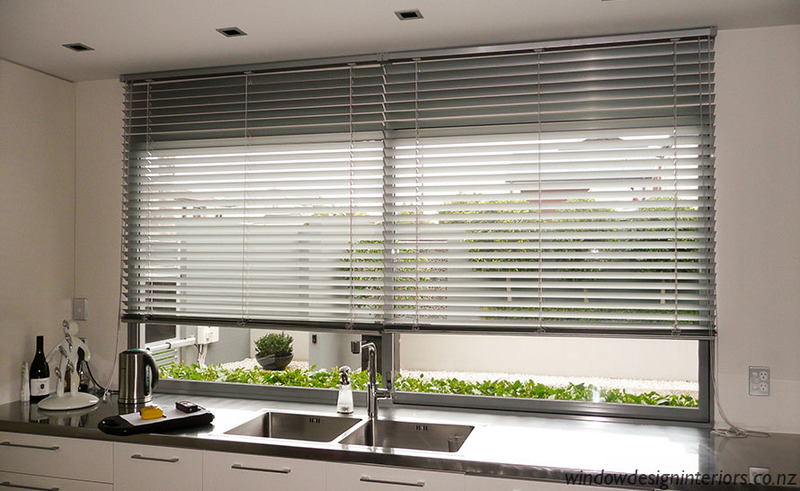 Aluminium Venetian Blinds are simple and stylish, providing a timeless design that suits many decorating styles. They are an economical choice, easy to clean, practical for light control and privacy, come in a wide range of colours and can be supplied as 25mm slimline or 50mm classic. Automation for tilt control is available and blinds can be fitted to slopping angled windows. Hold down catches are also available to stop blinds rattling in the wind. 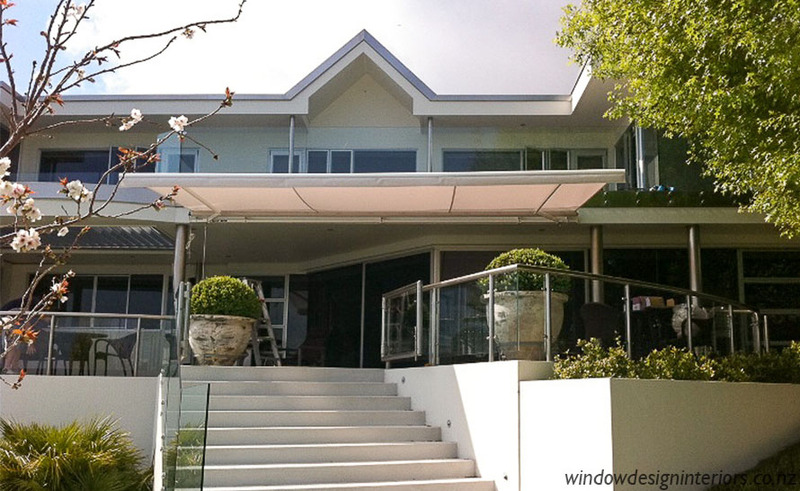 Window Design Interiors can offer a full range of awnings for both sun and wet/windy weather protection. A wide choice of high performance outdoor fabrics are available in stripes or plain colours. 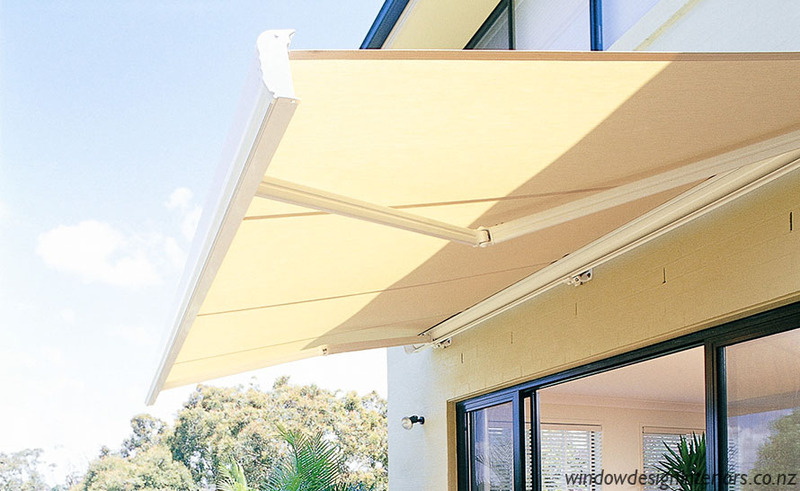 Several style options including folding arm, roll-up canopy or patio/bistro semi fixed awnings are available. Some models are compatible for motorization. WDI consultants are trained to provide design and custom made solutions to suit your budget and lifestyle. All awnings are installed by WDI’s experienced team of installers.